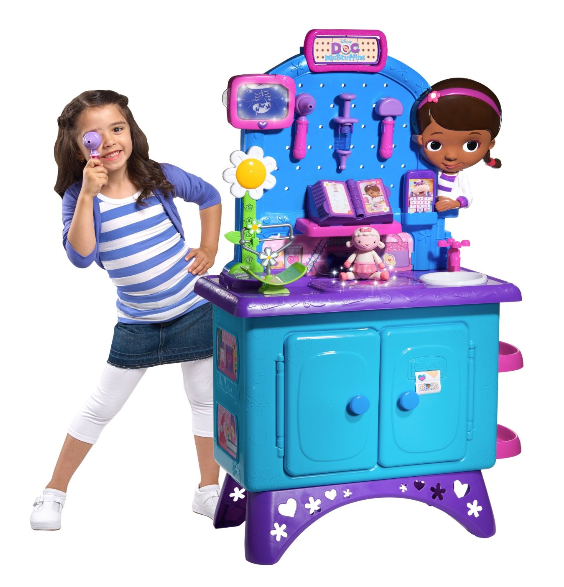 Doc McStuffins Get Better Checkup Center Playset Only $47 + FREE Shipping (Reg. $99)! You are here: Home / Great Deals / Amazon Deals / Doc McStuffins Get Better Checkup Center Playset Only $47 + FREE Shipping (Reg. $99)! Does your little one have a birthday coming up? Maybe you like to shop ahead and store presents in the gift closet? Either way, right now you can snag this Doc McStuffins Get Better Checkup Center Playset for only $47 + FREE Shipping (Reg. $99)!